If I were to rewrite the tale of “Three Little Pigs” today, the wisest pig would opt to build his home from steel. With steel construction, the wee pig could lavishly entertain his pig brothers in the expanse of an open floor plan supported by strong overhead steel beams; he could vigilantly stand lookout for the wolf from the stunning cantilevered deck reaching over the hillside supported by steel girders; and he would find the huffs and puffs of the wolf entirely inconsequential because steel construction can withstand hurricane-force winds. 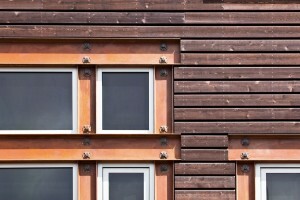 Steel for residential construction has come of age. First gaining acceptance as a material for high-rises and commercial buildings, steel is fast entering residential construction, and professionals are rapidly experimenting and developing interesting new applications. 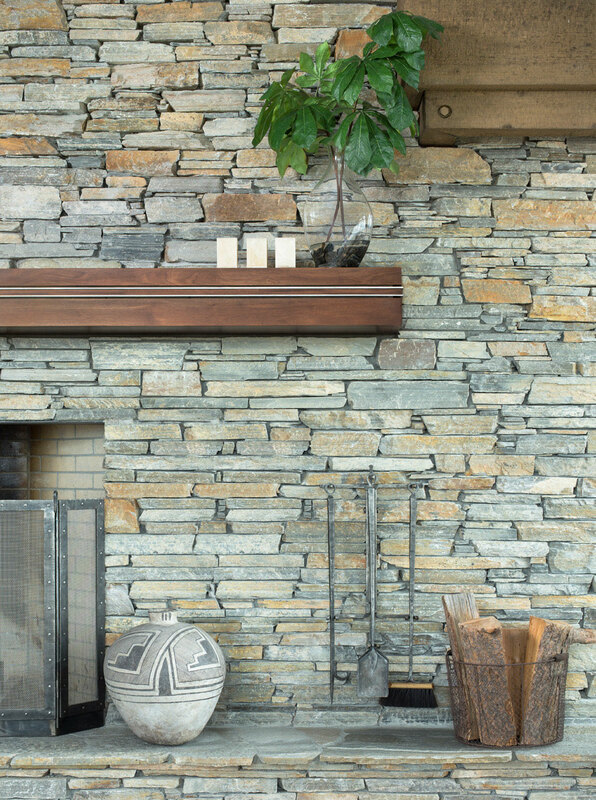 Courtesy of Atelier One Ltd.
A brushed steel rail is a smart contrast against a patinaed steel wall by Atelier One Ltd. PHOTO Courtesy of Atelier One Ltd.
hanging device for both structural and decorative elements.”Steel isn’t a new material. It was invented some 4,000 years ago and manufactured in brick furnaces. 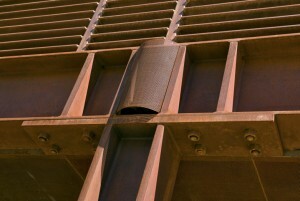 The process combines iron with carbon (about two percent of its weight) and sometimes adds metal alloys like nickel or chromium to resist corrosion. A progression of processes advanced steel making, but it remained expensive until the Industrial Revolution when it could be mass-produced with the Bessemer process, a system that blows air through the molten iron to remove impurities. Further advancements in the Post-WWII period replaced air with oxygen for the Basic Oxygen Steelmaking (BOS) process and introduced refinements like cold-rolled steel. Now, manufacturers produce 1.3-billion tons of steel annually worldwide. 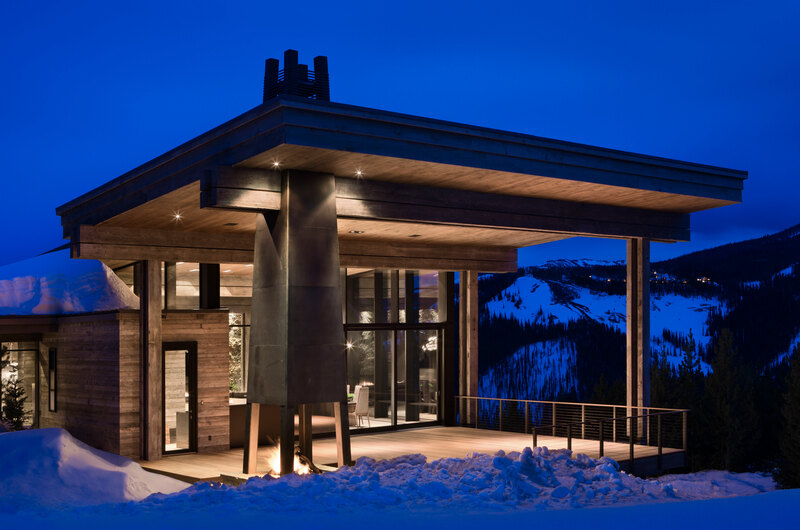 STRONG, SUSTAINABLE, SAFE, AND ENABLING BOLD DESIGNS AND STRIKING ACCENTS, STEEL IS BECOMING AN ACCEPTABLE AND VALUED MATERIAL FOR BUILDING JACKSON HOLE’S LUXURY MOUNTAIN HOMES. 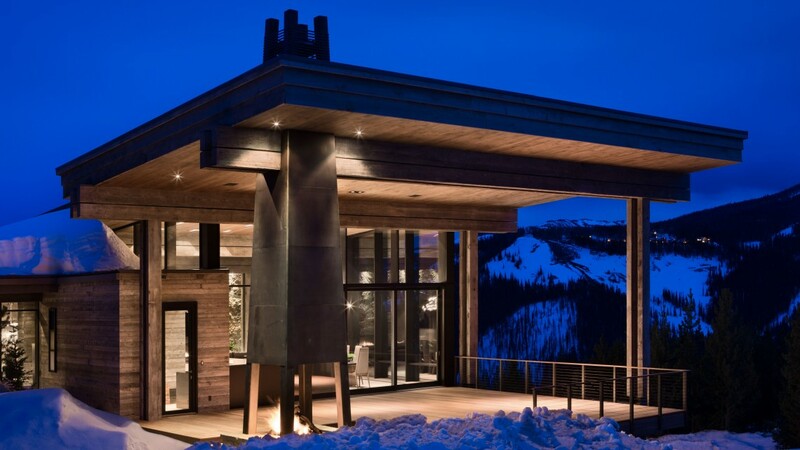 Having gained familiarity with steel through commercial projects, architects and builders are recognizing new applications for residences. 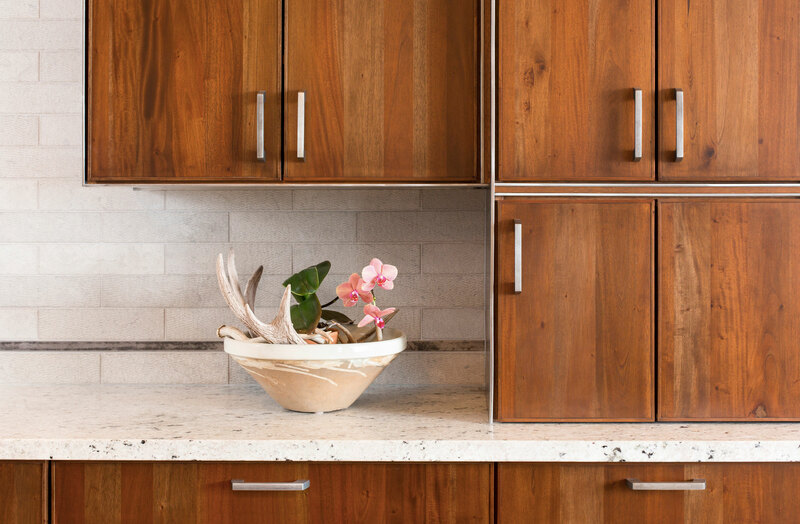 This coincides with the shift to contemporary and modern designs, large open living plans, connections to outdoor living, and the green building movement. Another factor is how design now more honestly manifests materials. 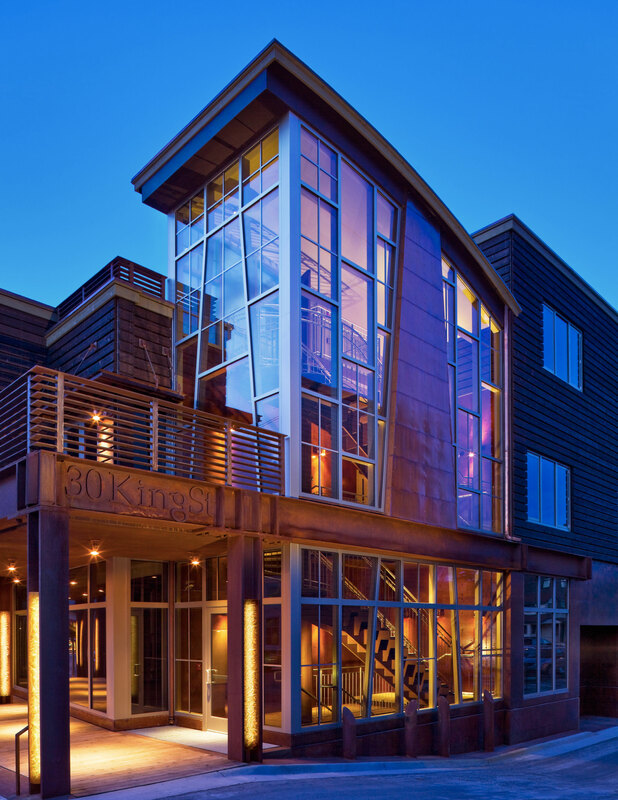 STEEL’S PRODUCT CONSISTENCY AND STRONG PERFORMANCE CHARACTERISTICS ALLOW FOR STRAIGHT, CLEAN MINIMAL LINES, OPEN FLOOR PLANS, AND MAXIMIZING THE USE OF GLASS. 30 King Street is a mixed commercial/residential condominium building in downtown Jackson. 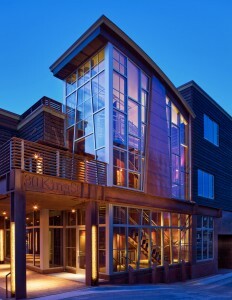 Architect Danny Williams utilized multiple applications and finishes to achieve this study in steel. PHOTOS Courtesy of Atelier One Ltd.
Steel’s versatility and strength are other factors for bringing steel to the forefront. 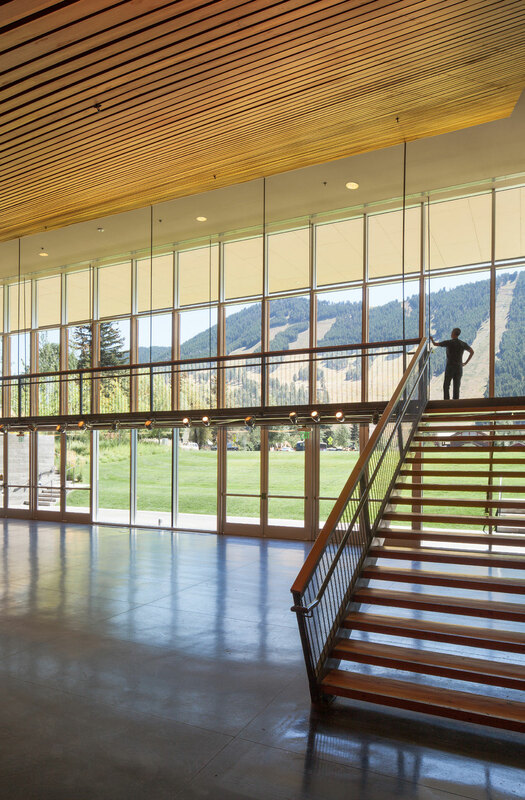 Its product consistency and strong performance characteristics allow for straight, clean minimal lines, open floor plans, and maximizing the use of glass. 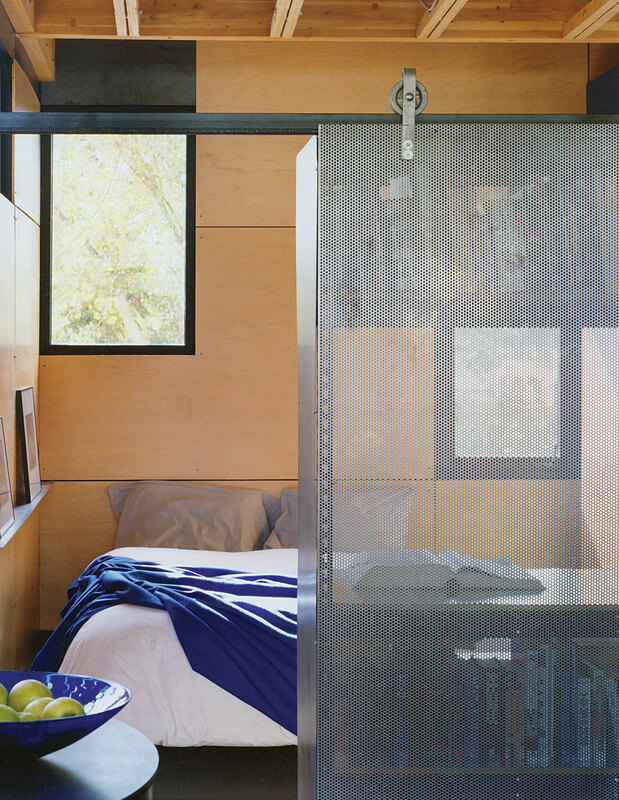 The use of steel for residences is not limited to structural support. 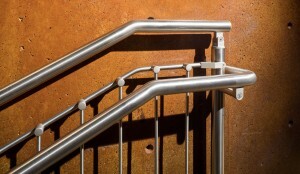 Decorative innovations for steel are also on the rise. 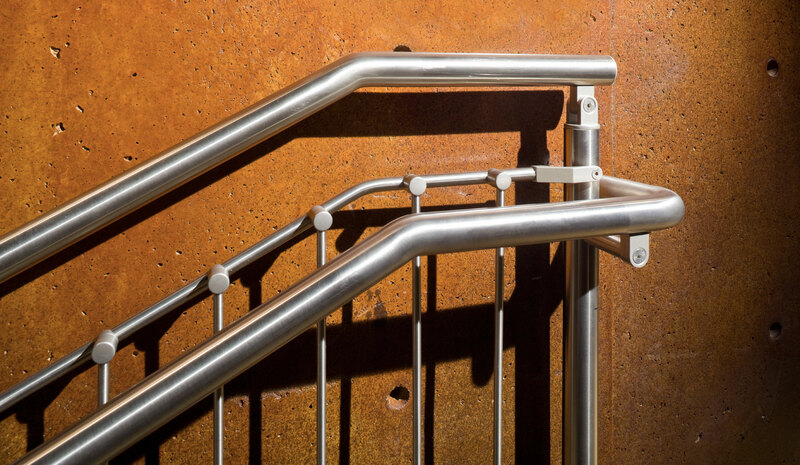 STEEL HAS BEEN USED IN INTERIOR DESIGN AND ARCHITECTURE FOR CENTURIES BUT IN RECENT YEARS WE’VE SEEN THIS VERSATILE METAL CATAPULT INTO ALL ASPECTS OF DESIGN. Working with architects and designers in the area, Dalby reports installing ornamental steel fireplace doors, frames, and surrounds, as well as stairs and railings, roofing, siding, and other special surfaces. Teton Heritage Builders is pleased with the performance of steel cladding, so much so, they clad their own office. 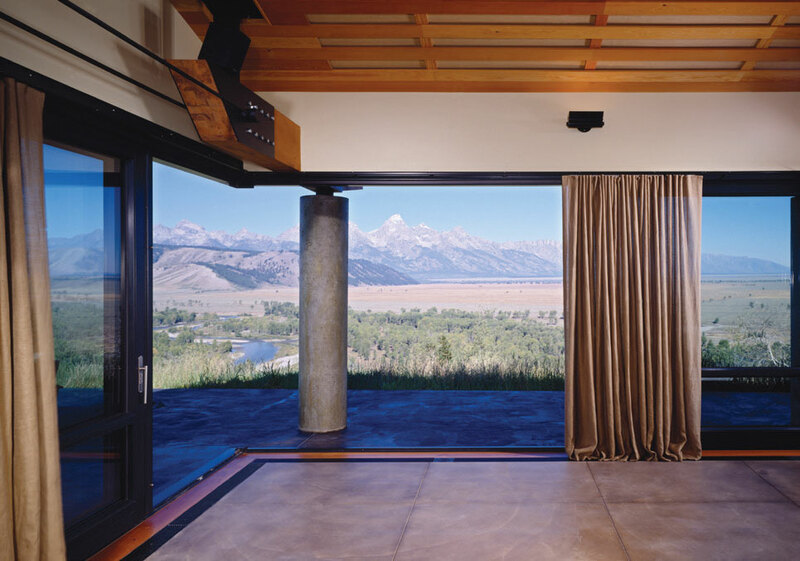 PHOTO Courtesy of Teton Heritage Builders. The cantilevering roofs and decks that Dynia mentions reach out from the core structure to connect the building with the site. Another mountain application that many have seen are gabion walls where steel or iron mesh holds loose rocks in place for a perimeter wall. 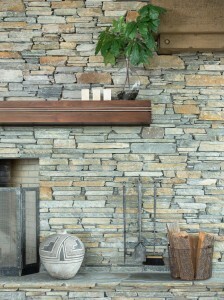 FOR INTERIOR SPACES, I LIKE TO UTILIZE THE STRENGTH OF STEEL TO SUPPORT OPEN FLOOR PLANS, AND INDOOR/OUTDOOR ROOMS. 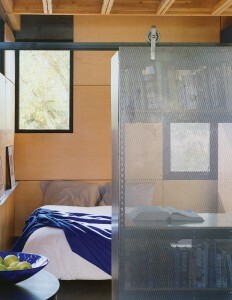 A mix of wood slats and riveted oxidized steel reflect a daring design ethos. PHOTO Courtesy of Atelier One Ltd.
For a number of reasons, steel is considered sustainable and a useful material to assist with green building certification. 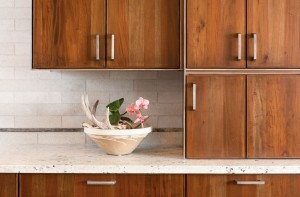 Often compared with the wood products it replaces, steel is completely recyclable. In contrast to other recyclables like paper fiber, there is no limit to the number of times steel may be recycled without a loss of quality. Because steel is often prefabricated in the factory, it is cut to precise dimensions for less waste at the job site, and the cuttings at the factory are standard sizes that can be welded together for new pieces, again creating less waste. Additionally, any waste at the factories has extremely high rates of recycling. 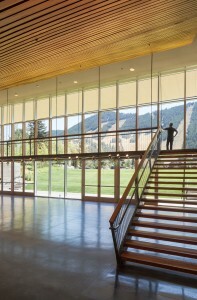 Because it originates from recycled material, steel gains points on LEED scoring. “Steel counts as green. 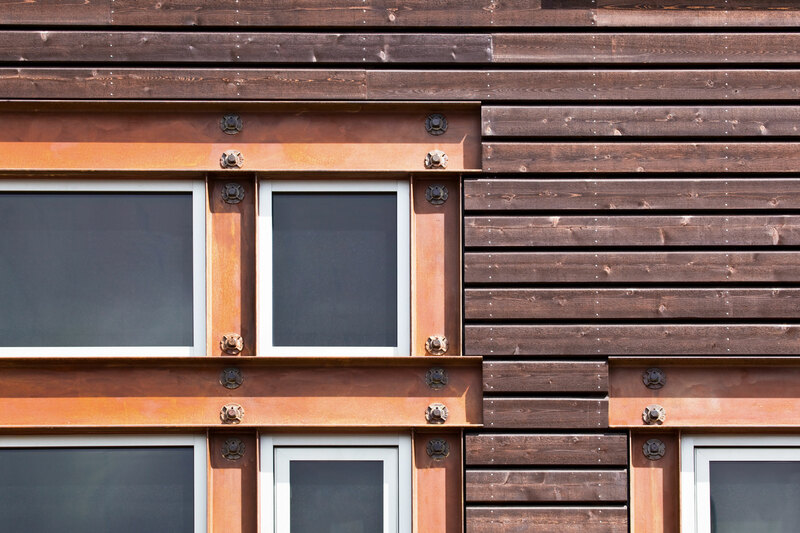 Many of our homes are LEED-inspired, and metal siding is zero maintenance and could later be potentially repurposed or recycled,” agrees Dalby. One of steel’s other touted benefits is that it is safer. Compared to wood, it resists termites and fire. 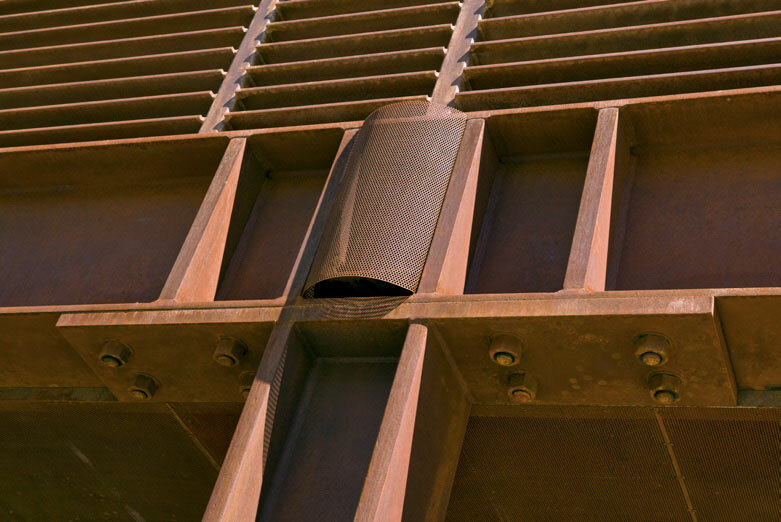 Experts at World Steel offer factsheets as to its superior wind resistance and ability to withstand earthquakes. 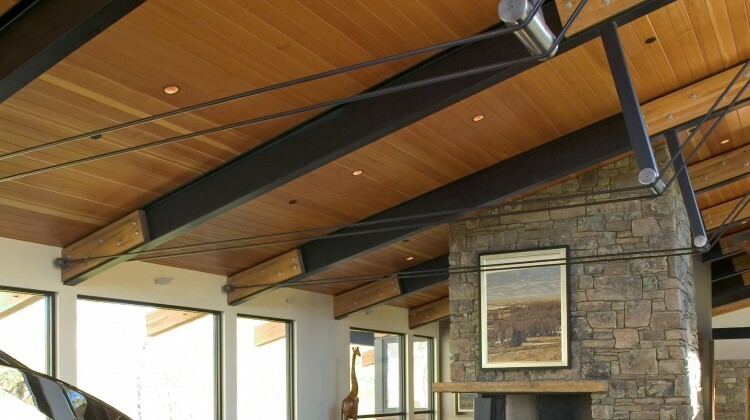 According to AISI, steel has the highest strength-to-weight ratio of all building materials, and this affects the cost of transportation and the volume of space that support materials occupy in the home. 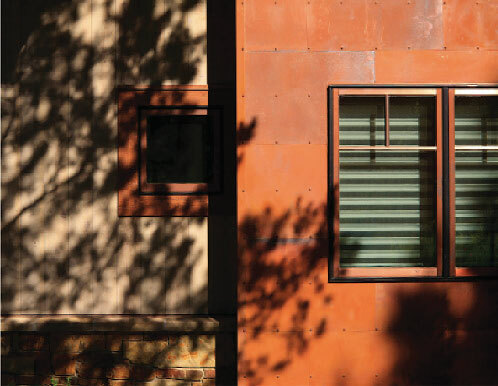 Inside and out, and for strength, safety, and aesthetics, steel is part of homebuilding in the Jackson area. 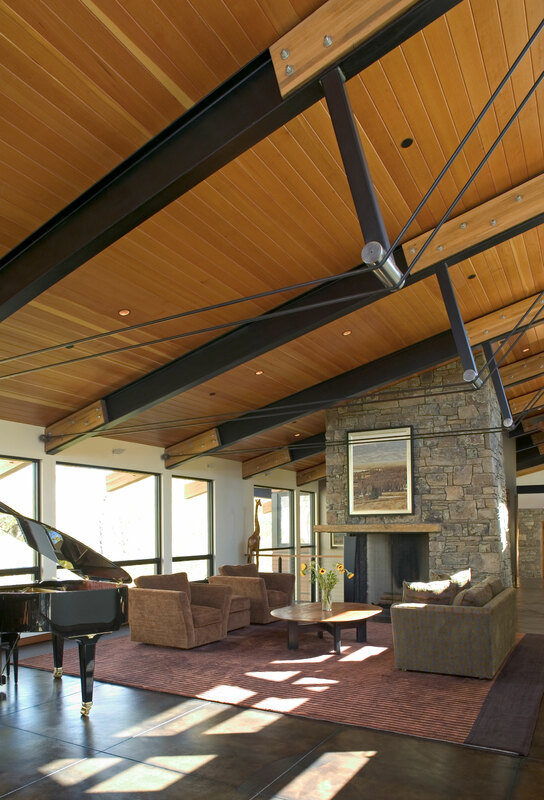 A custom ceiling application of exposed steel beams and tensile cables create a truly open and flexible floor plan. 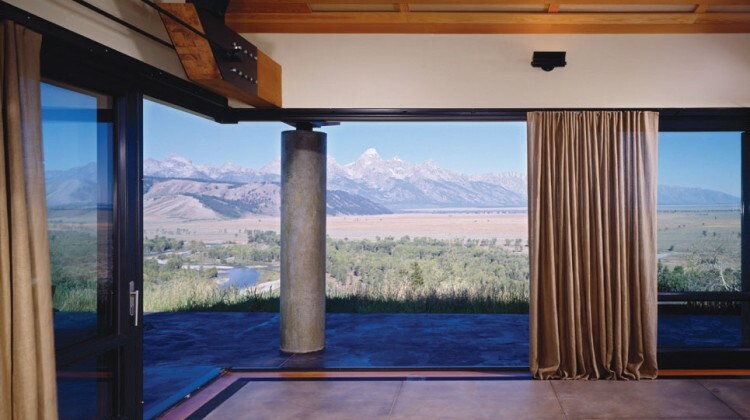 A steel framed window wall opens to the valley below with views of the Teton Mountain Range. 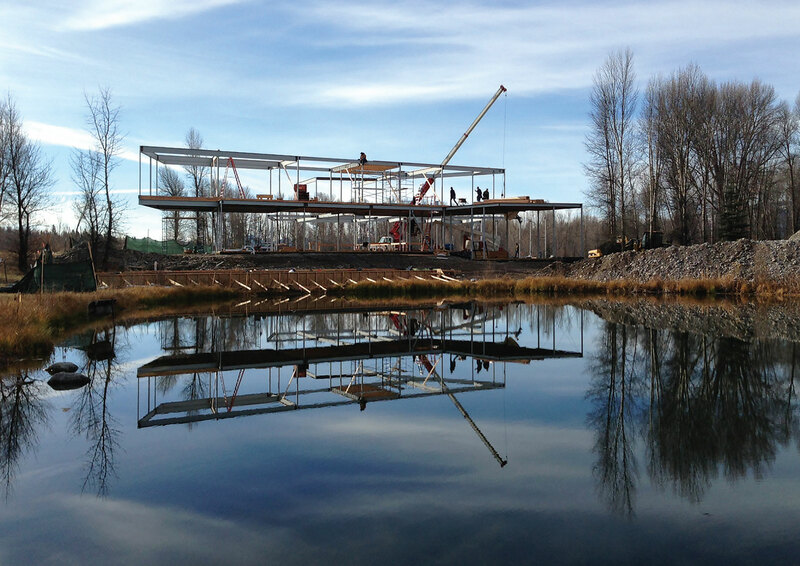 PHOTOS Courtesy of DYNIA Architects. 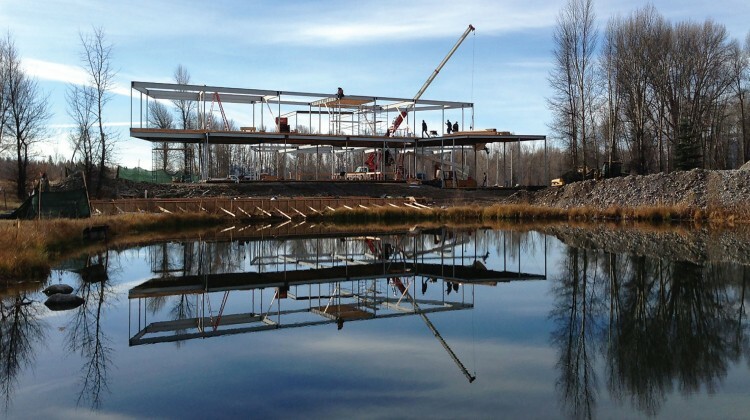 Steel framing allows for the creation of cantilevered structural design elements. 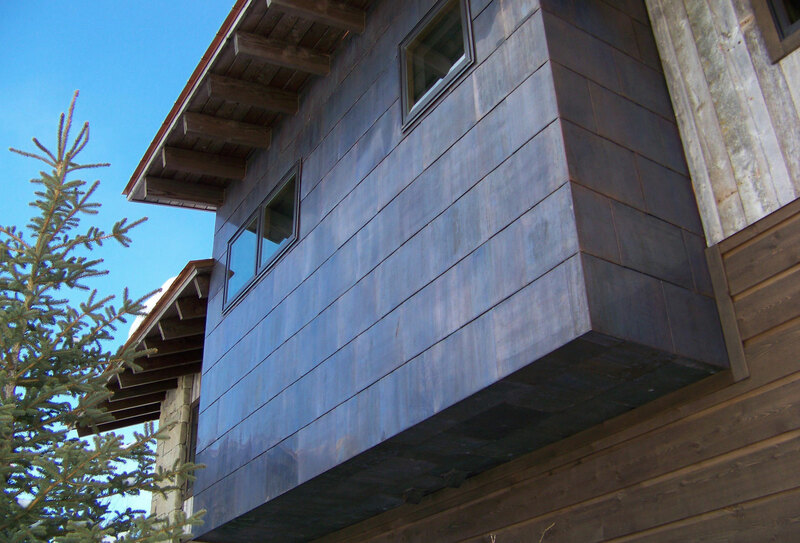 Finishes change the character of steel cladding, as exemplified by this oxidized treatment by Teton Heritage Builders. PHOTO Courtesy of Teton Heritage Builders.